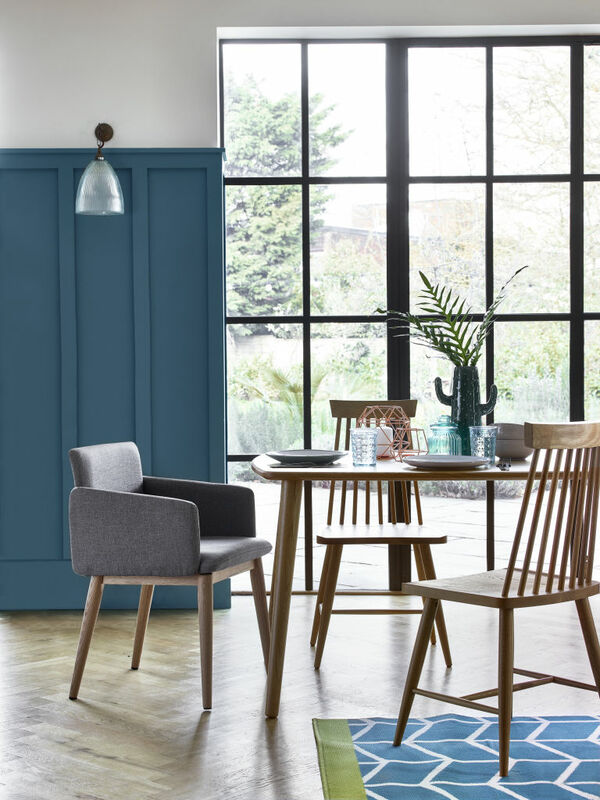 6 Hot Interior Design Trends this Autumn / Winter. Teal …. a gorgeous colour tone that sits between turquoise and blue. It is the perfect shade to use to give a room a brighter aspect. It works particularly well when combined with fresh white and looks fantastic with pale blonde wooden flooring. Accessorise with soft greys and turquoise glass. The Jones Estate range of poles in Regatta fits this trend perfectly. 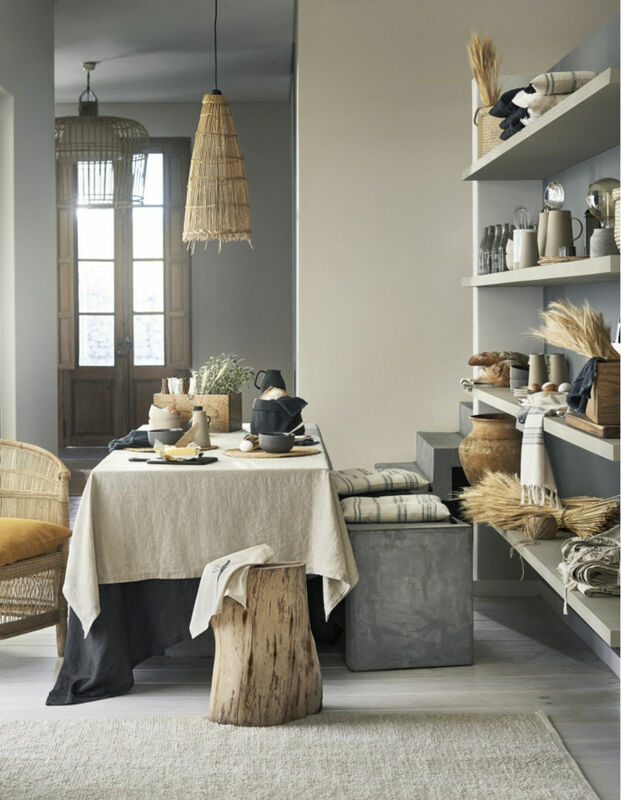 Back to nature ….conjure up thoughts of organic ceramics, jute rugs, woven lampshades and linen tablecloths and you’ll be spot on with this trend. This trend is all about natural elements being used together. The colour palette ranges from off whites, soft creams and a spectrum of greys. Our new Origins curtain pole range complements this trend really well finishing off the natural look. 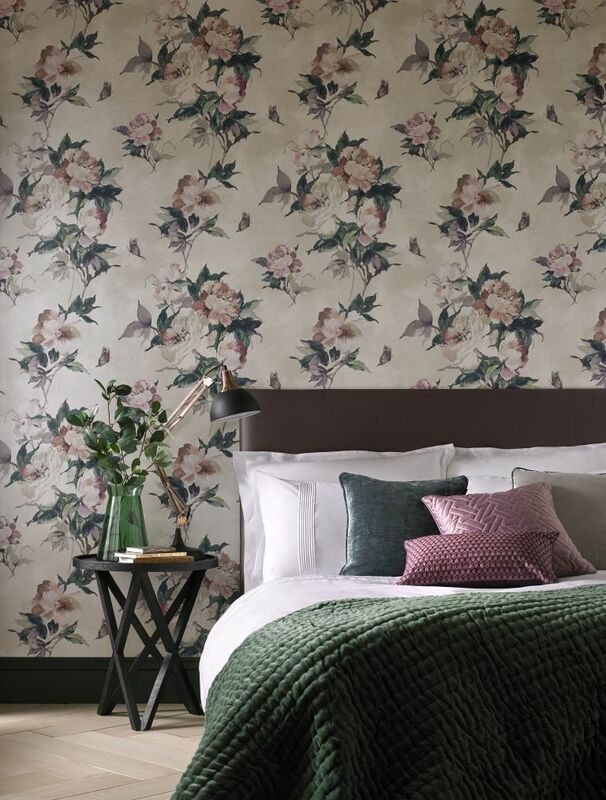 Floral wallpaper ….yes it’s back with a bang! 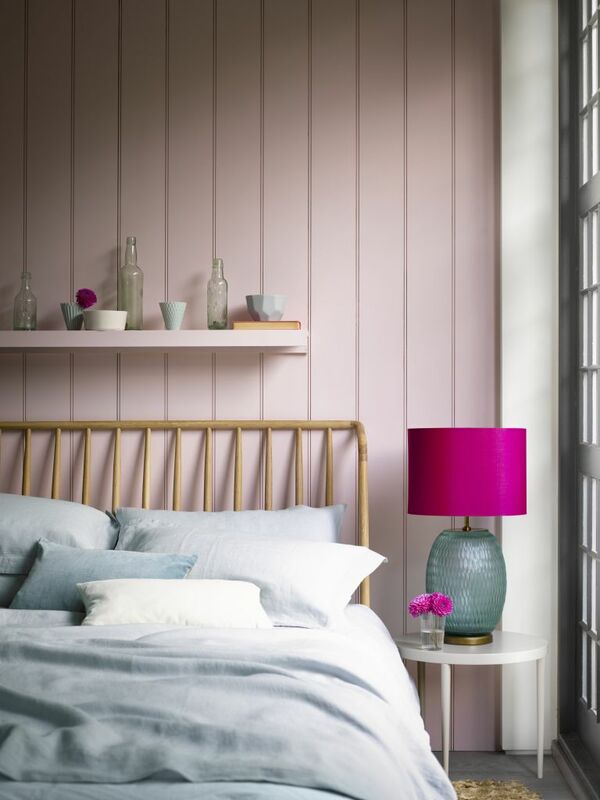 Florals are now big and bold in pretty tones of blush, dove grey and emerald to add a romantic feel to your room. Wallpaper adds personality, colour and textures to a room. Complement your florals with a coloured curtain pole. The Jones Seychelles range offers an en trend colour palette to complete the romantic look. Velvets …. we LOVE velvet! Soft to touch and so luxurious velvet is a trend we welcome! The sumptuous fabric with its short dense pile and elegant finish gives all colours a vibrant feel. Velvet cushions enable you to capture the trend without having to invest in larger items, or you could consider an occasional chair. We love Neptune’s range of sofas and chairs. 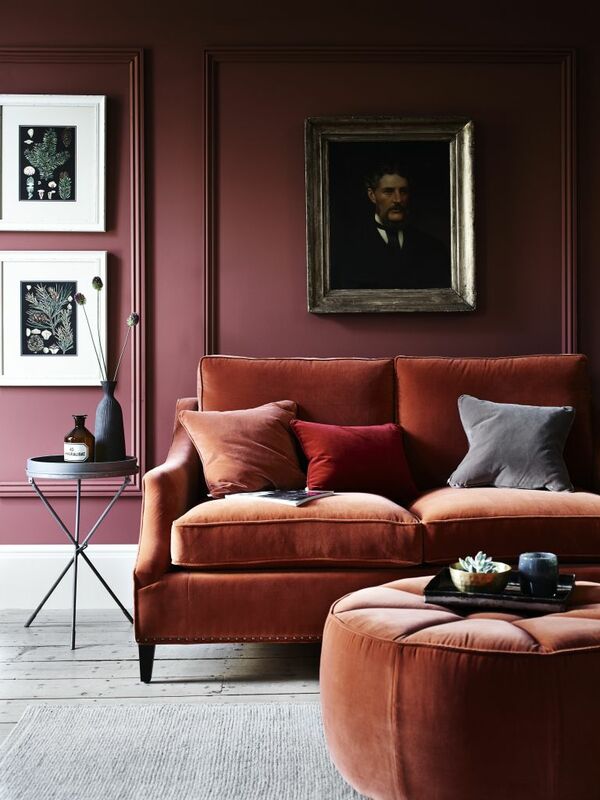 Choose from colours that are warm, welcoming and create that opulent look such as burnt oranges, deep cranberry or soft chestnut. Take a look at the Jones Florentine or Rolls Museum range of curtain poles for opulent window treatment ideas to complete the look. Monochrome …. this is a bold look but accents of copper will add warmth. The use of white also creates balance. The Jones Strand range of curtain poles offers poles in a gorgeous Rose Gold finish adding the finishing touch to the monochrome look. Accessorise with copper photo frames, vases and other decorative items to complete the look. Millennial Pink …. if you prefer softer tones then millennial pink is for you! It is mood-enchancing, romantic, dreamy and goes with everything. It also works across different type of rooms. Team it with pastel tones of sky blue and smokey grey, clear glass vases and a pop of vibrant cerise to give the look a zing of brightness. The Jones Strand curtain pole with painted heather ball finials is a perfect accessory to this trend.